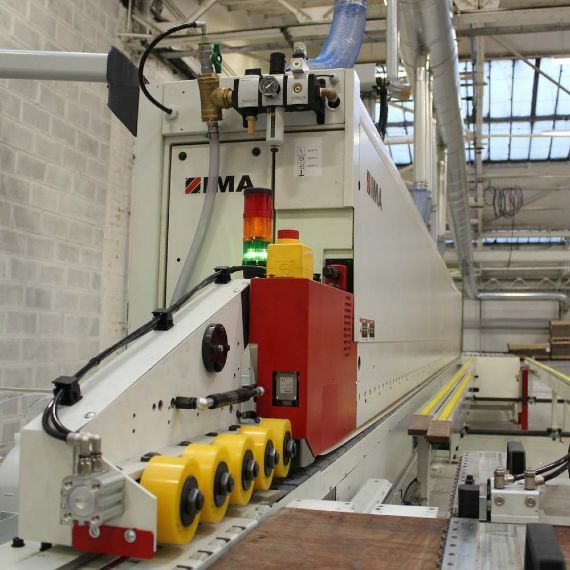 Meyer Timber provide a specialised cut to size machining service, utilising a vast in-stock range of melamine decors. 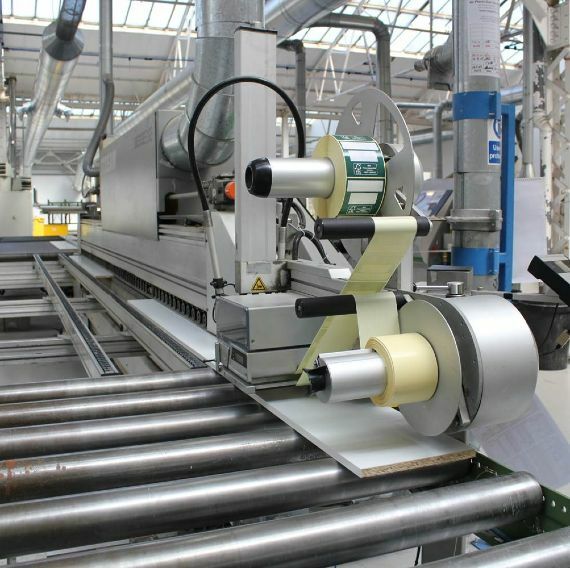 As well as melamines, we also machine all sorts of general board products, for applications in a variety of end uses. Many of these require a high level of calibrated accuracy, which comes as standard. 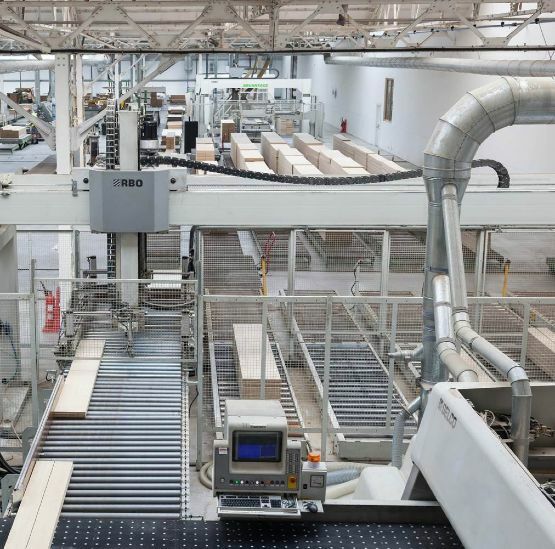 We have invested heavily in the last few years in our production facilities, most recently with the installation of a third Beam Saw, the new FH-8 430/220 Auto from Schelling UK allowing us to increase capacity, without compromising on service and quality. We know its important for you to get the information you need, when you need it so we price competitively and provide bespoke quotations, so you can be sure you're getting the best deal for the job. For a quick quote, simply complete our Quotation Request Form at the bottom of this page. Meyer are able to cut stock items to a customer's exact specification and have it delivered within 3 working days. If the board needs to be cut and edged the delivery time is 5 working days*. 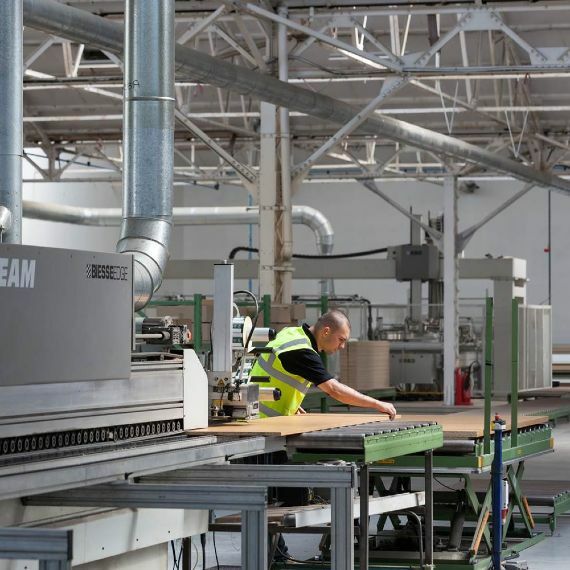 As well as melamine faced chipboard and MDF, we stock an extensive range of sheet material which includes gloss, real wood veneered boards, OSB, plywood and MDF, all of which can be cut to size. We don't believe in minimum order quantities, cut and edged orders can be for as little as one board. With our experienced, highly trained staff and our state of the art machinery we can ensure you receive high quality products and superior levels of service every time you order. To ensure that handling damage is kept to the very minimum and all panels leave our facility in pristine condition, all production orders are banded and wrapped with high quality packaging materials. By machining goods in-house we can significantly reduce turnaround times, and preserve the Chain of Custody certification on FSC® products, as they don’t have to travel to external sub-contractors who may not have their own Chain of Custody arrangements in place.